Is located in the Kahawa Sukari district of Kenya. It is a semi-rural area located about twenty minutes outside of the capital of Nairobi. The district of Kahawa Sukari is located 20 kilometers from the capital of Nairobi in Kenya. Until 2010, this area lacked consistent electric and water supplies. Ndiini Primary School is a public school in the Kahawa Sukari district and was started in 1959, by the First Lady Mama Ngina Kenyatta. The Kenya Ministry of Education took over control of the school after the number of enrolled children began to dramatically increase. The school is composed of four main stone buildings and two buildings where toilet facilities are located. The classrooms are equipped with a basic chalkboard and approximately one desk for every three children. 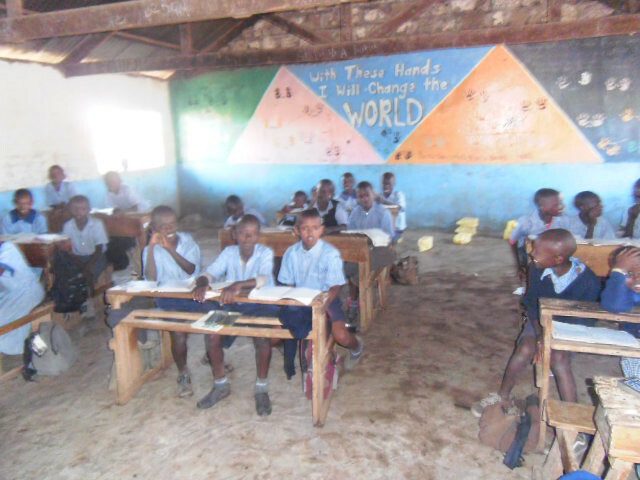 The classrooms do not have running water, flooring, adequate lighting, or electricity. As the only primary school within a ten mile radius, the school has an enrollment of 712 students and only 24 faculty members to teach them. Prior to the initiation of the Ndiini School Food Programme, the primary school students did not have any adequate midday meal. 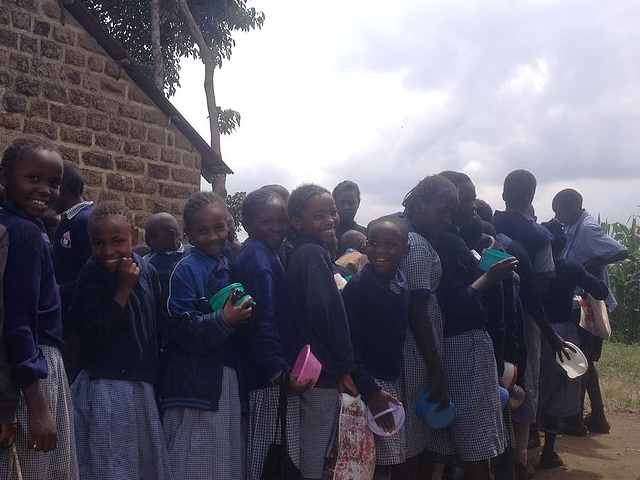 From about 7:30 a.m. until the end of the school day, students received no midday meal. 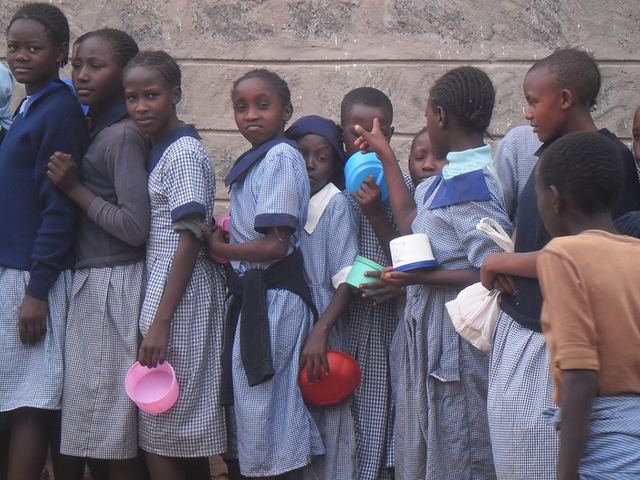 For some students, the midday meal provided by the food programme is the only meal they have all day. Ndiini School Food Programme hopes to provide these primary school students with a nutritious meal that helps them continue their studies. Since the inception of the program, attendance rates have continued to rise.